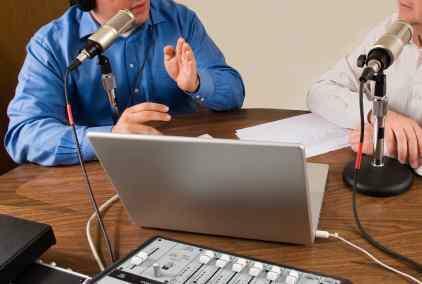 As web 2.0 social networking technology becomes more sophisticated, many people are discovering the benefits of podcasting. A podcast is described as an audio file that has been compressed into digital format, and delivered through a RSS feed. Contrary to the implications of its name, a podcast is not a broadcast, nor does it require an iPod as a listening device. In fact, as long as you have installed speakers on your computer, many websites have clickable podcast links on their websites. This ease of listening is one of the many benefits of podcasting. Plagiarism has become a serious issue on the web. Indeed, the ready availability of content is like an apple in the Garden of Eden. Students, web and print writers may realize that using cut and paste to write articles and term papers is unethical. Unfortunately, it does not stop them from doing it. While plagiarizing a podcast is possible, it is not easy. If you value your unique ideas, presenting them verbally may prevent people from stealing them. Many colleges, high schools and elementary schools have experimented with podcasting as an educational tool. In fact, podcasts were an important tool in Duke University's initiative to promote the creative use of technology in education. In August of 2004, the university distributed iPods, equipped with voice recorders to 1600 new students. According to the Duke University ipod experience report, teachers released podasts in music classes and foreign language classes, as well science and humanities courses. The iPods allowed the recording classroom discussions, interviews performed by students and recording of oral assignments. The faculty and students found that the podcasts decreased reliance on physical materials and reduced the dependency on library hours for multimedia material. Podcasts can also be helpful to store lectures for students who might miss classes due to illness. If you have a business blog or website, adding podcasts can increase visibility and bring more visitors to your page. This is because podcasts reside in special podcast directories that stay organized according to their subject matter. In addition to finding your site on Google or specialized blog rolls, potential customers can find you by searching through a podcast directory. If you add additional podcasts on a regular basis, you will provide potential customers with a reason to return. Even better, since many people find it easier to absorb verbal dialogue than written text, a podcast may help your visitors remember your pearls of wisdom. Podcasting also allows your visitors to multi-task. In other words, they can listen to your podcast while working out, posting on Facebook or surfing the web. If you have an extremely pleasant speaking voice, even more people will enjoy listening to you. Podcasting can also remove the ambiguity that is often associated with written web content. Many people do not have the sufficient writing skills that would help readers determine whether they are saying something in jest. As such, they are in danger of unintentionally offending people with their content. Fortunately, voice inflection can help the listener make this distinction. If you are preparing a monologue for an audition, a podcast can be a helpful feedback tool. It allows you to listen to your intonations, as well as your pacing. While you can easily do this by making a recording, a podcast lets you share the monologue with others on special acting workshops. This can be an excellent way to get feedback about your performance.